For a girl born in North Korea, the protagonist of Princess Bari, by Hwang Sok-yong and translated by Sora Kim-Russell, has a very magical life. Perhaps it’s because she’s the seventh child in the family. Perhaps it’s because of her grandmother’s stubborn belief in her own shamanistic abilities. Whatever it is, Bari’s life ends up following the arc of the legendary Princess Bari of Korean myth. She suffers many tragedies and goes through many physical hardships, but she also ends up bringing healing and peace to a lot of people in the far away land where she settles. Bari had a charmed life (again, surprising for a North Korean) until a devastating famine hits in 1994. Her father’s position in the local government fails to protect them when her maternal uncle runs up a huge gambling debt and defects to South Korea. The family is broken up and Bari loses her parents and her sisters. She even loses her beloved grandmother when she, her slightly older sister, and her grandmother flee across the Tumen River into China. There are numerous elements of mysticism or fantasy in Princess Bari. Bari has abilities that just don’t happen in the normal world. These abilities help save her life more than once as Bari has to live as an undocumented immigrant in northern China and then in London. Her grandmother and her lost dog, Chilung, appear frequently in her dreams to warn her of dangers and give advice. Bari also travels through Korean mythology in those dreams as she followed in the footsteps of her namesake. I loved all of these mystical touches. They turn what might have been a relentless parade of miseries into a quest worthy of being retold to future generations. Princess Bari constantly shifts from the fantastic to the mundane. There are ships of the dead in one of Bari’s realities; her other reality has nail parlors and immigration raids. The shifts in realities are smoothly translated by Kim-Russell, who does a marvelous job preserving Bari’s voice throughout the book. A few terms are left untranslated from Korean (mostly words for food that would have sounded weird if they were translated into English). Personally, I love it when translators do this. In another kind of novel, Bari’s story might have been about the need for a safe haven. Instead, it is a story about the endless whys asked by the suffering. Why do some people suffer so much in life? What is the point of deaths in famine or religious wars? What is the point of being a good person in a frequently evil world? 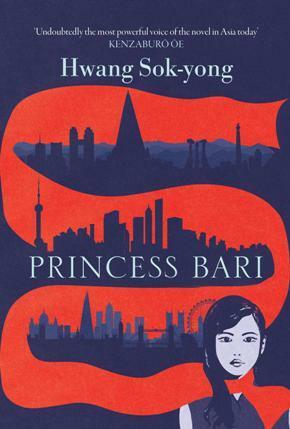 There are religious characters in this book, but I found the overall conclusions of Princess Bari—both in the sense of the book’s ending and in the answers it gives to the bigger questions the book asks—to be more philosophical and much more honest than I expected. This was truly an incredible and moving read. There are some research topics that are perennial at the library. Most of the time, I don’t mind these. One of the ones that I regularly struggle with is the value of a liberal arts education. I struggle with this because I don’t understand why students don’t just naturally see the point of it; it’s hard to rhapsodize about critical thinking skills, adaptability, and so on to someone who isn’t getting it. But when I read Marina and Sergey Dyachenko’s wrenching contemporary fantasy novel, Vita Nostra (translated by Julia Meitov Hersey), I suddenly saw why they had a hard time understanding why their professors had them slave over obscure, difficult texts for hours. Sasha Samokhina, our protagonist, has absolutely no idea why she’s been coerced into attending Institute of Special Technologies in a remote Russian town. And, until near the end when the purpose of it all is spectacularly revealed, neither do we. Sasha’s plans for college are vague when the unsettling Farit Kozhennikov finds her while on vacation at the beach with her mother. Using the threat that “something terrible will happen” if she doesn’t comply, Farit gives her a series of tasks to complete before informing her that she will attend the Institute of Special Technologies instead of a normal university. Once at the Institute, Sasha is set to studying incomprehensible texts and trying to perform seemingly impossible mental exercises. It’s only after a full year of this rough education that Sasha starts to see its possibilities. We, like Sasha, have to trust that there really is a point to it all. But even though there is an objective—which her professors repeatedly tell her that she has to learn on her own and that they can’t just tell her—I had to wonder if it worth the struggle and the transformation Sasha experiences. Sasha has to content with her bizarre and rigorous education in addition to figuring out her feelings for Kostya Kozhennikov (the son of her “advisor,” Farit) and the scorn of girls who bully her. In that sense, Vita Nostra shares some of the tropes of the growing genre of magic school novels. 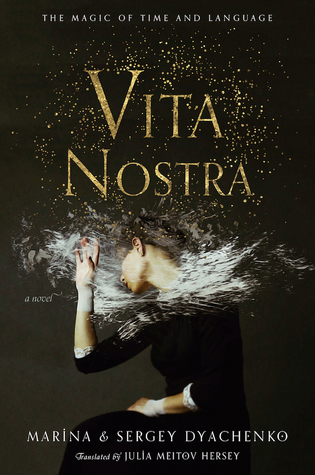 Vita Nostra strongly reminded me of Lev Grossman’s Magicians trilogy because these mundane concerns are given just as much time as the magical elements; the fiendishly complicated curriculum heightened the similarities. This book had so much emotional weight that there were times I didn’t think I could bear it. I shouldn’t be surprised that this is what happens when Russian language writers got their hands on the genre. Vita Nostra felt like a paradox while I was reading it. On the one hand it’s a slow burn that encompasses the first three years of Sasha’s career at the Institute. I wrestled with the strange texts and exercises along with Sasha, eventually achieving an awareness of what the school is teaching its coerced student body. It really is an extraordinary course of study. I know I wouldn’t be able to hack it, but I am a little bit tempted because of what the students might be able to do once they graduate. On the other hand, I felt like I was racing along with Sasha as she devoured her magical training. The curriculum at the Institute is just as much about transformation (literally) as it is about training young minds to see the world for what it really is and Sasha wants as much as she can handle and more—to the frequent exasperation and occasional horror of her professors. Which brings me back around to the question of whether or not a rigorous, bewildering education is worth the struggle, especially when students can’t see the end point. The things Sasha learns are firmly in the territory of things we shouldn’t mess with. To say that this kind of knowledge is worth having and using seems like something Faust would argue and look at what happened to him. But Vita Nostra responds to this question by having Sasha’s professors repeatedly stress restraint, warning Sasha that she’s not mature enough to exercise her new abilities. The question at the end of Vita Nostra is not why; the question is should. We have a lot to look forward to in the next books in the series because I strongly suspect that, even at the end, Sasha still hasn’t learned caution. I hope that Hersey keeps translating these books. Her work seems perfectly faithful and imperceptible. Her translation never gives things away too soon, just like Sasha’s professors. Most adventure stories, of any stripe, focus on the lead up to, the journey to, and the fight with the enemy. Very rarely to they focus on the aftermath. But in Daryl Gregory’s novella, We Are All Completely Fine, we see a group of survivors of supernatural crimes and horrors, meeting for group therapy. Dr. Jan Sayer has brought them all together to work through their issues. After all, they’re the only people who will believe each other. The narrative shifts between the various members of the group. There’s Harrison Harrison, a former monster slayer with intractable insomnia. Martin is addicted to this world’s version of Google Glass, which help him see monsters, who’s roommates were killed by a mysterious homeless man. Stan survived a family of cannibals, but lost several appendages. Barbara was kidnapped by the Scrimshander, who carved up her bones. And then there’s Greta, who is covered in scars and is on the run from something. All of these survivors resist being called victims. More than that, the book resists this label, too. We see these characters in all their complicated prickliness as they struggle with the legacy of what they’ve seen and had done to them. We Are All Completely Fine is not just a series of therapy meetings. In addition to this fascinating scenes, Harrison and Martin pick up on the fact that one of their member’s “adventures” are not over. Even though he’s a very damaged person, Harrison not-so-reluctantly takes up his mantle as monster hunter again. This time around, he has help, whether he wants it or not. 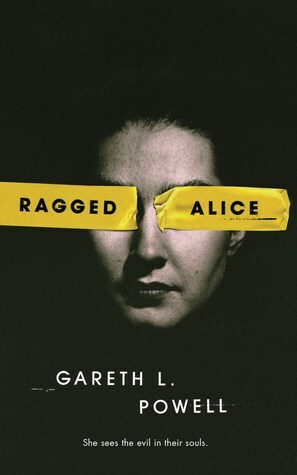 This book races along its horror plot, which I enjoyed for its originality and for the grit of the characters, but my favorite parts were the therapy sessions. Stan is the only one who’s willing to talk about what happened to him, even if he only tells a very polished, public version of his story. The others keep their memories tightly locked away until they finally learn to trust each other enough to share. The brief hints about this world’s Lovecraftian monsters and horrors made me want more—obviously from the safety of this side of the page. We Are All Completely Fine turned out to be a great read for October. Eleven-year-old Hannah is not having a good summer. Her parents are getting divorced and she doesn’t understand why. Oh, and her grandfather seems to have some kind of business with the Devil. And something is wrong with Hell and Evil. Hannah’s tale in Michael Marshall Smith’s gripping Hannah Green and Her Unfeasibly Mundane Existence is not your ordinary kid’s story, except for the fact that Hannah and the Devil and her shockingly old grandfather seem to be the only ones who can intellectually handle what’s going on. The “grown ups” are constantly asking “What? !” and “Why? !” instead of doing what needs to be done. I loved every page of this blackly funny and surprisingly harrowing novel. After a curious false start, which functions as a prologue that only makes sense later, we meet Hannah as she is learning that her parents are separating. She’s noticed that her parents’ relationship has been souring, but she’s still floored when the rupture happens. Her father falls into a deep depression and sends Hannah to stay with her grandfather “for a while.” That’s when things start to get really interesting. Her grandfather has a car that’s bigger on the inside, walks up and down beaches so that they don’t get unbalanced, and no one actually knows when he was born. And then, the Devil shows up to ask about the Sacrifice Machine. The narrator of this novel would say that I’m getting ahead of things. More than once, that narrator interrupts the action to address readers directly to point out that lots of things in this story are happening all at the same time or add epilogues to explain what happens to people who the Devil encounters during his(?) attempts to get Hell and Evil back on track. Consequently, we know a lot more about what’s happening around Hannah and the Devil’s stories than they do. This all adds a magnificent sense of tension as the protagonists (including a hilarious accident demon) and the Devil dip in and out of this world’s version of Hell, travel to Siberia, locate a Fallen Angel in squirrel form, perform rescues, and more. Hannah Green and Her Unfeasibly Mundane Existence is a lightning fast read full of things I love in stories: narrators futzing around with how the story should be told, ethical dilemmas, supernatural creatures hiding just out of sight, and a no-nonsense heroine who is brave enough to do the necessary in spite of her fear. Readers who don’t mind more than a few hints of Devil-caused violence will enjoy this highly original book a lot, I think. The narrator’s irreverence and the author’s off-kilter sense of humor had me laughing more than once. More than anything, Hannah Green is a great character; she absolutely makes this book, though her grandfather steals the show every now and then. Sarah Perry’s haunting novel, Melmoth, revolves around two ideas: loneliness and bearing witness. Throughout history, humans have done terrible things to each other. Many of them were never punished for their deeds. Their victims are left to recover as best they can, if they survive at all. But in the world that Perry created for her characters, there is one being who sees all: Melmoth the Wanderer. She is believed to be a woman who denied what she had see at Christ’s tomb and was cursed to seek out all those terrible things that people do to each other. In her loneliness, she may offer a way out to the tormenters or their victims, to escape with her to bear witness while wandering the earth with bare feet. Melmoth presents us with testimony from throughout history about what people did when they were given the choice to stay or flee. Not only did Perry take inspiration from Melmoth the Wanderer, a nineteenth-century Gothic novel by Charles Maturin, she also adopted some of the structure and tone of those early, sensational novel. From the very first page, where we meet protagonist Helen Franklin in Prague, every moment is weighted with heightened emotion and foreshadowing. The narrator tells us that Helen is not remarkable until she first learned of Melmoth. After that moment, nothing in Helen’s circumscribed world is the same. Through Helen, we get rapidly up to speed on the story of Melmoth. This wandering woman haunts people who feel guilty, whether or not a court would find them guilty of a crime. Helen, like many of the people she reads about who have encountered Melmoth through time, feels terribly guilty about a bad thing she did when she was a young adult. We don’t learn what that thing is until late in the book. By the time we do learn, I was more inclined to be sympathetic to Helen. 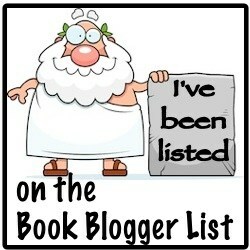 I was not so sympathetic towards the other people whose secrets are revealed later in the book. What fascinated me most about Melmoth was the question of bearing witness. On the one hand, a witness is important for justice. A witness can testify that a crime happened. Because Melmoth can be any where, she can see crimes against humanity that no one survived: the Armenian Genocide, the burning of Protestants under Queen Mary, the denunciation of a family of Jews during the German occupation of Prague. But when there is no possibility of justice later, what is a witness for? Does it comfort the suffering to know that they are not alone or dreaming? Or would they rather suffer in secret, so that no one will see their humiliation? Melmoth comes down on the side of comfort, for victims and criminals alike. Melmoth is a dark, uncomfortable read. But it’s the kind of book I love for its ethical complexity. Even though characters do bad things, criminal things, there are sometimes extenuating circumstances or convoluted rationalizing. We as readers are witnesses, but also judges. Unlike Melmoth the Witness, we can’t help but think about how much guilt the characters should bear, whether or not they should be punished, and how. We have to decide whether Melmoth’s offer to wander the earth is a way to escape justice or just a different kind of punishment. Readers who also like to watch Justice’s scales tilt will find a lot to enjoy in Melmoth, especially if they also enjoy rich, Gothic prose. I received a free copy of this book from the publisher via Edelweiss, for review consideration. It will be released 16 October 2018. The house that the Haydens inherit at the start of Dale Bailey’s chilling In the Night Wood does not have the best reputation. Not only does it border the Eorl Wood, a swathe of primeval forest that the locals warn everyone away from, but it also burned to the ground in the 1840s and housed the last reclusive member of the Hollow family. Oh, and sometimes young girls go missing. But that’s still in the future of the grief-stricken Haydens, who arrive looking with varying levels of optimism for a chance to start over after the death of their only child. Erin is devastated after her child’s death and is only really handing on with pharmaceutical help. Her husband Charles, however, has his academic interest in Caedmon Hollow to keep him busy. Hollow was the Victorian author of a fairy tale-like story that is always described as “not appropriate” for children because of its grimness. (Pun.) Not much is known about Hollow, so if Charles can deliver a biography full of new and hopefully interesting material, it might help him resurrect his career. What neither of the Haydens counted on was the Eorl Wood. Both of them start to see people in the woods. Erin thinks she sees her lost daughter. Charles has flashes of the Horned King, a figure from Hollow’s book and Celtic mythology. Neither of them says a word to the other. While they play an uncomfortable dance of politeness for the servants and the locals, Erin starts to draw the Horned King and get lost in depression while Charles hunts down clues about Hollow’s life. I was much more interested in Charles’ plotline than Erin’s. At times, I thought Erin’s character was shoved to the side while Charles and the local historian got to dig through old papers and actually get a handle on what might be going on. There was plenty of archival goodness and plenty of literary allusions to keep me entertained during Charles’ sections. Unfortunately, Erin is left to suffer from grief and depression for most of the book. She sinks deeper and deeper and her part of the puzzle goes to waste in the overall plot. I would have liked In the Night Woods a lot more if Erin’s character and plotline were more developed. I received a free copy of this book from the publisher via Edelweiss, for review consideration. It will be released 9 October 2018.